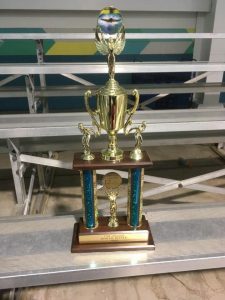 The Pebblebrook High School swimming team competed in its history making inaugural meet November 2, 2018 at the Cobb County High School Time Trials & Relays Swim Meet under the direction of Coach Melinda Coppola. Freshman Josiah O’Connor had the best individual finish of any Falcon taking 16th in the 50 yard freestyle out of 84 participants with a county qualifying time of 25.78. O’Connor also had the best time in the 100 yard backstroke finishing 13th with a county qualifying time of 1:10:36. Pebblebrook High School has 10 swimmers. The rest of the team includes Brooke Jones, Shalom Blackwell, Jayden Premmer, Juan Gonzalez, Ethan Guilford, Tymere Mapp, Charisma Horne, Haley Shadburn and Carla Molina-Tolayo.